Today's picture is brought to you by The Wall Project. 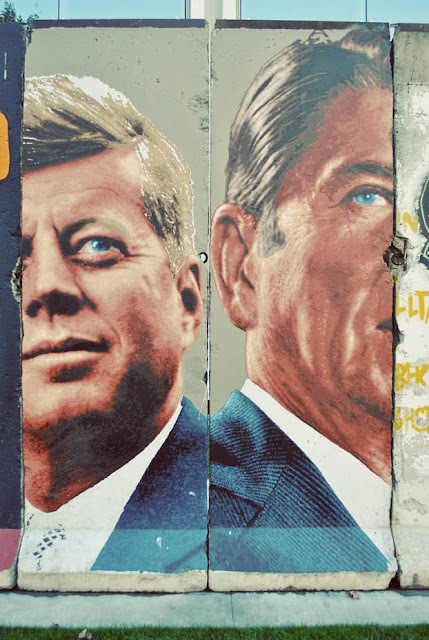 The Wende Museum puts pieces of the Berlin Wall up around Los Angeles, and this piece is on Wilshire in the Museum District. 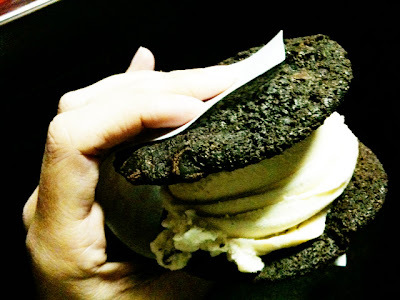 In other news, I had an ice cream sandwich from Cool Haus for dinner! Bourbon pecan pie ice cream, with a chocolate chocolate chip cookie. Oh, I am drooling a little at that picture. Mmmm. Going through your photo-a-day.... good for you!! Loving the ice cream sandwich (of course)! !